You don’t need “just” a website. You need a website that helps your customers, builds their trust, solves and speaks to their problems, AND compels them to reach out to you. 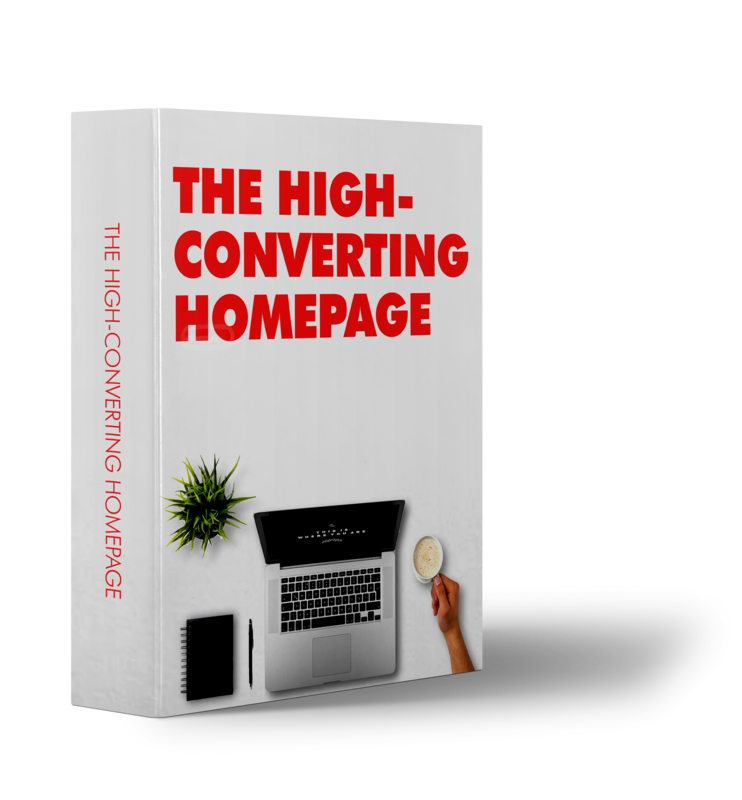 You need a high-converting homepage. This follow-along template will show you the EXACT order to structure your homepage for maximum impact, as well as lengthy notes as to WHY it works and WHAT those sections are accomplishing. An interactive checklist you can use (print it off or keep it on your computer) to ensure that your homepage has everything you need in order to best convert prospects to paying customers. You don’t want to settle for a passive website. So I want to help you even MORE by giving you a special offer on this program, so you can get even more out of what you’re learning and implementing. If you go through the “High-Converting Homepage” training and don’t like it for literally ANY reason, I will give you a full, 100% refund and you can KEEP the training, up to 90 days. Meaning if you go through it and think it HASN’T helped you get more clients, book more meetings, generate more revenue, make more sales, or build your audience, you will get your full investment back. BRING IN THOUSANDS OF EXTRA DOLLARS. If you take what you learn in this training- the traffic generation strategies, the keyword research strategies, the structuring of your homepage, you will enjoy more leads, more clients, and more revenue in your business.